Thảo luận trong 'ENGLISH' bắt đầu bởi Jakub Han, 7/2/19. There are a couple of new, interesting deals for filmmakers available. 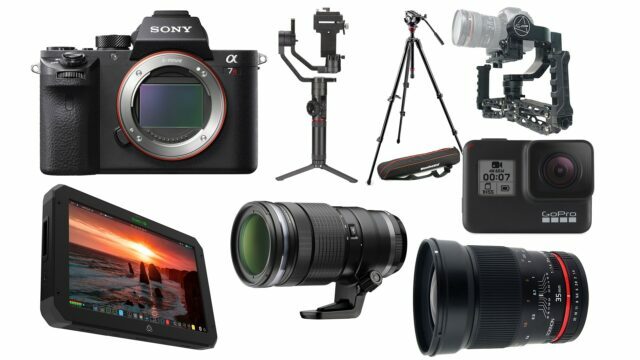 We selected the best 10 offers of filmmaking gear from our partners’ online shops for this week – including the Sony a7R II, the GoPro HERO7, Atomos and SmallHD monitors, lenses, a tripod, gimbals and more. This mirrorless camera with its 42MP full-frame sensor is clearly aimed at pro photographers. It can also record decent video, though (take a look at our review of the camera). The Sony a7R II features internal UHD 4K video in 24/25 or 30 fps with S-log2 gamma color profile, 5-axis sensor stabilization, OLED EVF and a tilting LCD monitor. ISO can be ramped all the way up to 102,400. This discounted kit features the camera body along with a SanDisk 64GB SDXC memory card and a Think Tank shoulder bag. There are other kits available too. The new GoPro action camera was introduced during fall 2018, featuring various resolutions and frame rates – 4K60/50, 2.7K120/100 & 1080p240/200 and very capable video stabilization, called HyperSmooth. Take a look at our hands-on test. The HERO7 is waterproof up to 33′ without a housing and can be controlled via touchscreen, button or smartphone. The Zhiyun-Tech Crane is a 3-axis one-handed gimbal for mirrorless & DSLR cameras up to 7lb. It features electronic follow focus control (for selected Canon cameras only) and a separate follow focus motor can also be purchased. The gimbal has a runtime of 12-18 hours with included batteries. This lens is one of the best telephoto lenses for micro four thirds (MFT) systems. 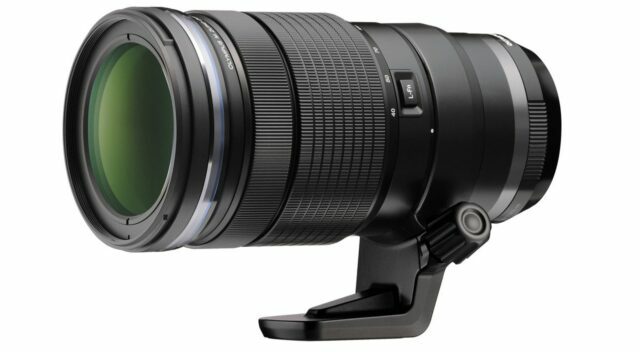 It has a full-frame equivalent of 80-300mm and aperture range from f/2.8 to f/22. There is a programmable L-Fn function button (will only work with selected cameras) and the lens features a weather-resistant construction. 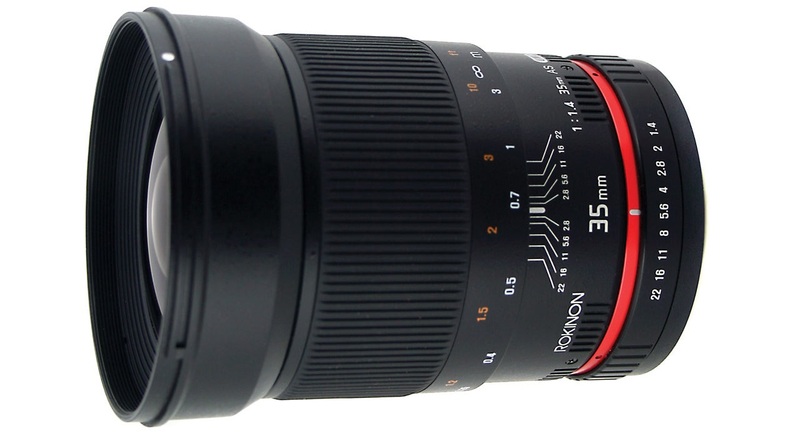 There is an interesting discount on this manual EF mount prime lens from Rokinon. It even covers full-frame sensors and has an aperture range of f/1.4 to f/22. The lens features one aspherical and two HR elements. 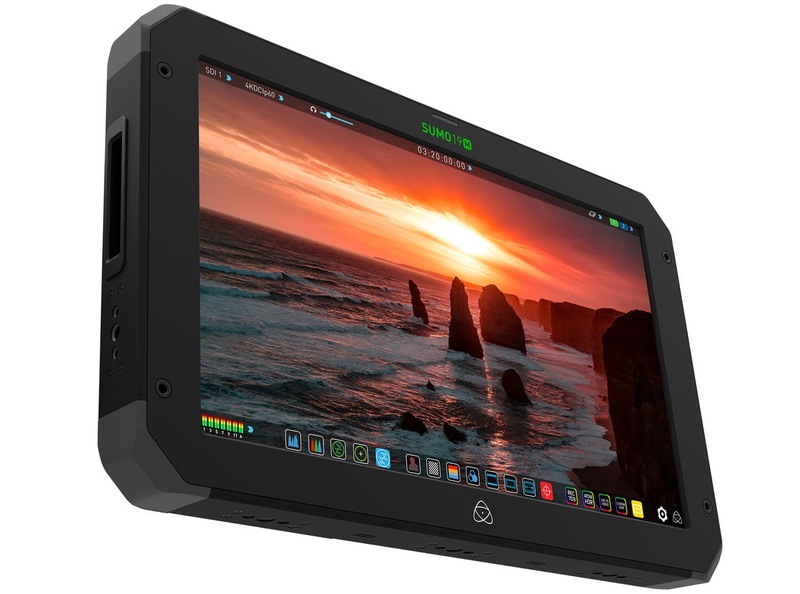 The Atomos SUMO19M is 1920 x 1080 1200 cd/m² (nits) bright touchscreen display with 10-Bit FRC processing. There are HDMI 2.0 and 12G-SDI inputs/outputs. It can import LUTs from master caddy media and has a high-bright mode for REC. 709 viewing. It lacks the recorder functionality of its more expensive brother SUMO19, which is also discounted, by the way. This massively discounted director’s kit is based on the SmallHD 503 UltraBright monitor with a 5″ 1920 x 1080 display, SDI and HDMI inputs and 2200 cd/m² (nits) brightness. It further includes a 503 cage and hood, a protective neoprene sleeve, a dual L-series battery plate, monitor accessory handles and a neck strap, ultra-matte screen protectors, BNC cables, a LEMO power lead cable, and a cleaning cloth. 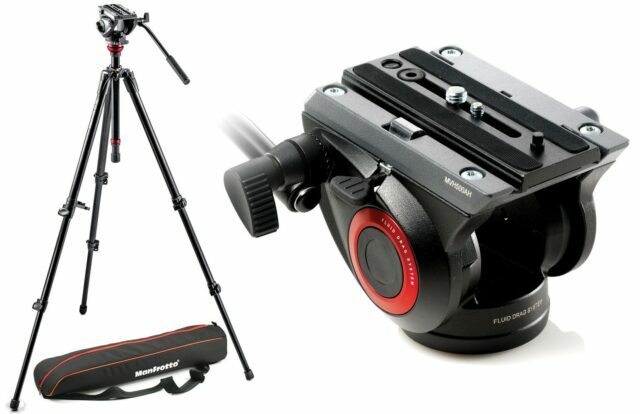 This set from Manfrotto could be suitable for beginner filmmakers with a small camera and tight budget. It features the flat base MVH500AH fluid head with 11lb maximum payload, -70° / +90° tilt & 360° pan and the 500PLONG camera plate. The tripod features 2-stage aluminum legs with flip-lever lock clamps, adjustable and removable center-column and can be extended up to 65″ max height (with center-column raised). The padded, zippered bag is included in the set. 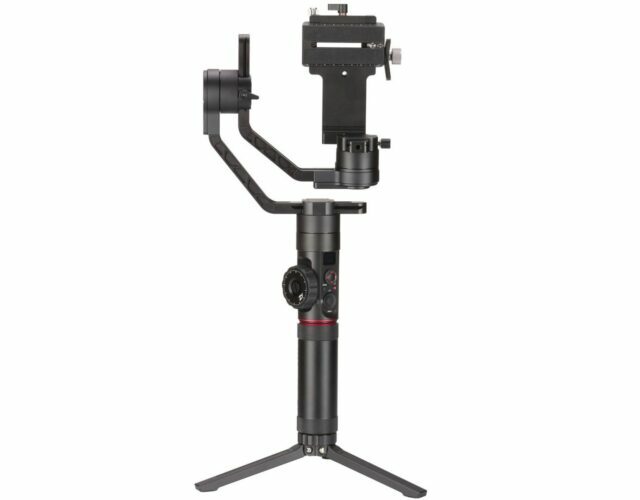 Filmpower claims that their Nebula 4300 gimbal offers 5-axis stabilization – meaning it can compensate the horizontal and vertical bounces caused by a filmmaker’s steps. It features spring mechanisms on both arms of the dual handle. Maximum payload of the gimbal is 3.2kg, so it should be able to accommodate most mirrorless and DSLR systems. As an EVA1 owner, I am aware of the poor quality of the supplied LCD display when it comes to accurate image monitoring. Zacuto is one of the few companies to offer third-party solutions for situations like this. 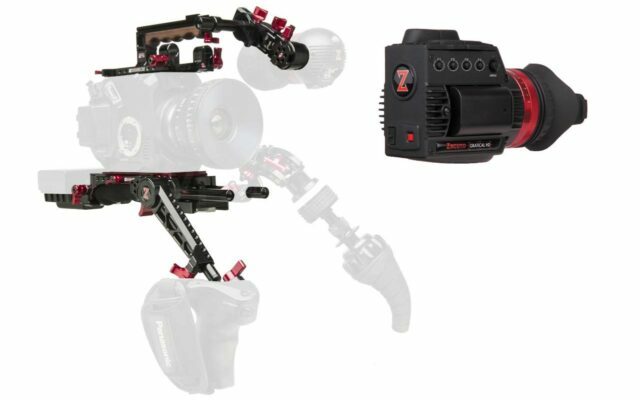 This set will equip the EVA1 with the Zacuto Gratical HD electronic viewfinder. 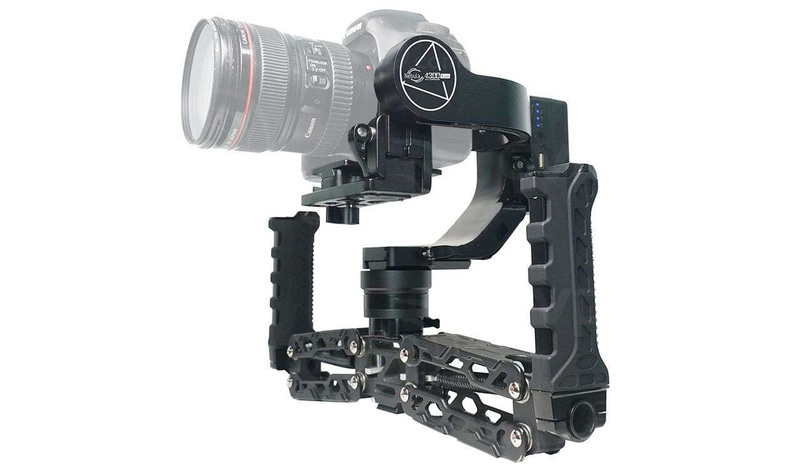 It also includes a VCT shoulder baseplate with a grip extension rod, and the EVA1 Top plate with built-in Z-rail, so you can add the Zacuto top handle or recoil handle. The complete set consists of: 1x VCT Pro baseplate, 1x EVA1 top plate, 1x top handle, 1x 15mm rod lock, 1x Z-Grip trigger, 1x Axis mini mount, 1x Gratical HD. 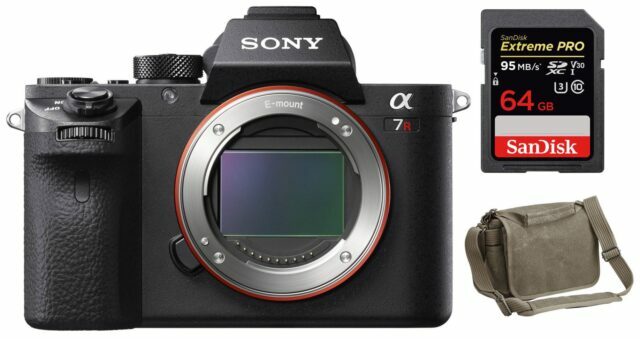 The post This Week’s Top 10 Deals for Filmmakers – Sony a7R II, GoPro HERO7, Crane 2 and More appeared first on cinema5D.